A man was reportedly “shot and killed during an armed robbery” at the Bedford Park Apartments in Chamblee Sunday, July 10, 2016. According to CBS 46 News, the fatal shooting “occurred at the Bedford Park Apartments in the 2700 block of Shallowford Road.” Media reports indicate area has a history of violent robberies. In April 2016, a woman was reportedly assaulted when “she walked in on three people trying to rob her…Bedford Park home,” according to The AJC. 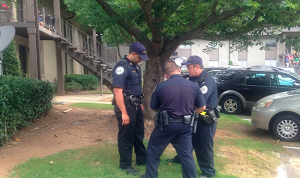 In December 2014, a man was “shot in the Bedford Park Apartments…after being robbed of his wallet,” per Brookhaven Post reports.